On-demand learning provides invaluable resources and growth potential by offering focused and targeted education for individual and organizational learning. According to Training Magazine, corporations save between 50-70% when replacing instructor-led training with electronic content delivery. How much would your organization benefit if the leadership skills of your strategic employees and high potentials were increased, and on a schedule that meets their needs? Successful businesses need leaders at all levels of their organization. To build leaders, individuals must be helped to reach their potential; learning to maximize strengths and minimize derailers. Technology has revolutionized business and is now available to revolutionize learning. The SLS Global e-learning Leadership Course can supply your workforce with a state-of-the-art and cost-effective program that yields motivated, skilled, and loyal knowledge leaders. It is available to meet your schedule … Anywhere, anytime, anyone. 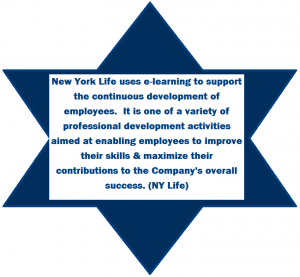 Employees can access the course when it is convenient for them, at home or in the office. Companies reap the benefits of a highly developed leadership pipeline and enjoy a substantial cost savings. E-Learning eliminates the expense and inconvenience of getting the instructor and students in the same place. Call today to learn how SLS Global’s e-learning program can help you respond to the need for continuous learning and change in today’s economy.